Tourism Victoria has joined forces with Eclipse Creative to launch an innovative new campaign promoting Victoria as an escape from their every day lives. 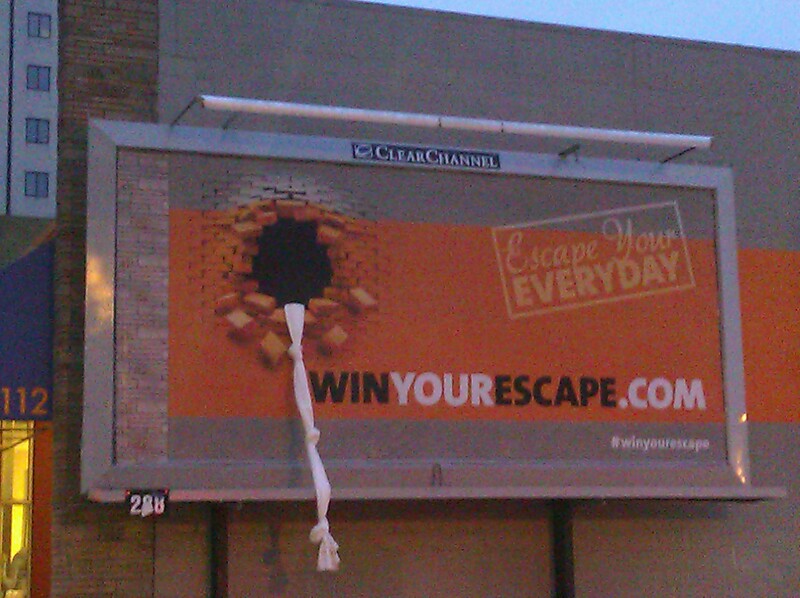 Appropriately named, “Escape Your Everyday,” the campaign encourages area residents to break away from their day-to-day routine and visit Victoria and experience all the wonderful sites and scenes it has to offer. “Escape Your Everyday” emphasizes importance of the work-life balance and how easy it is to achieve as Victoria is just a hop-skip-and-a-jump away. The comprehensive campaign includes a Facebook contest, billboard advertisements in Vancouver and Seattle, flash mobs and ambient media with the placement of “handcuffs” in various downtown locations. Enter to win 1 of 5 dream escape packages by ‘Liking’ their page on Facebook. Check out the commercial and billboard advertisement below. But the best part is this: all these great escapes are located right in our back yard. The campaign not only promotes the amazing things Victoria has to offer to those visiting but reminds Victoria residents of all the amazing activities and opportunities we are so lucky to have. Victoria isn’t just a great place to visit, it is also a great place to live and work. Well done, Tourism Victoria and Eclipse Creative for bringing more people to see and experience the beautiful city in which we are so lucky to live. Eclipse Creative is the Vancouver Island Technology Park’s preferred supplier for creative services. Nikki de Goey is the Manager of Culture and Corporate Relations at Vancouver Island Technology Park.